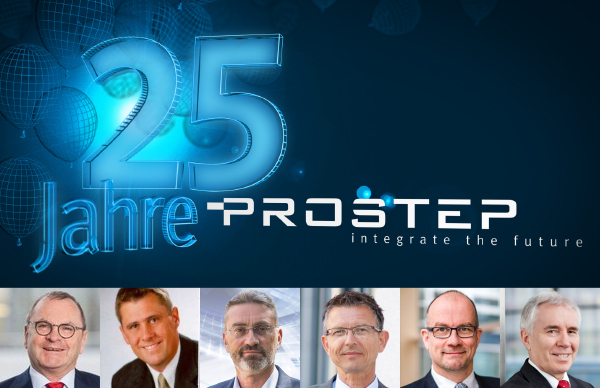 PROSTEP AG is celebrating its 25th anniversary this year – a ripe old age for a company in such a fast-moving industry as ours. During this time, we have developed into a leading vendor-neutral PLM consulting and software company and we never stop moving forward. In order to provide the best possible support for our customers during this period of digital transformation, we are constantly rethinking PLM and integrating new aspects such as Industry 4.0, the digital twin and blockchain. In fact, this is what we have been doing for 25 years. "We Integrate the future" is and remains our motto. PROSTEP AG is celebrating its 25th anniversary this year, which is a good reason to review the past and look ahead to the future. In this interview, representatives from the manufacturing industry, PLM industry and the research community who have long known and accompanied PROSTEP comment on the company's successful development over recent years, its strengths, and the challenges it will face in the future. As a jury sponsor for the Fraunhofer blockchain hackathon, PROSTEP set the participants a tricky challenge: To fraud-proof a "license to drink coffee" using the fair pay-per-use model. And the Fair Pay team, supported by PROSTEP, solved it brilliantly. At the end of the competition, my humble person had the honor to present the winning team with a check for 2,500 euros. The need for cross-company collaboration is growing. At the same time, the requirements of companies when it comes to IT solutions that support collaboration are becoming more complex. 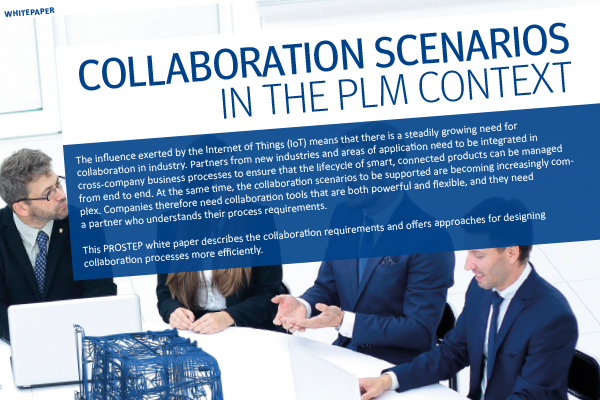 The new PROSTEP white paper on collaboration scenarios in the PLM context outlines the factors to be considered when selecting an appropriate solution and describes possible use cases. Migration of CAD and PLM data often presents the greatest obstacle when moving to a different system. 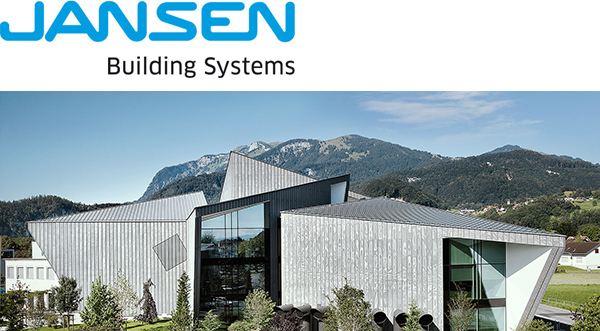 With the support of PROSTEP, the Swiss company Jansen AG, which manufactures precision steel tubes and steel profile systems as well as plastic tubes for the construction and industrial sectors, has successfully overcome the challenges of data migration when consolidating its heterogeneous CAD/PLM landscape. 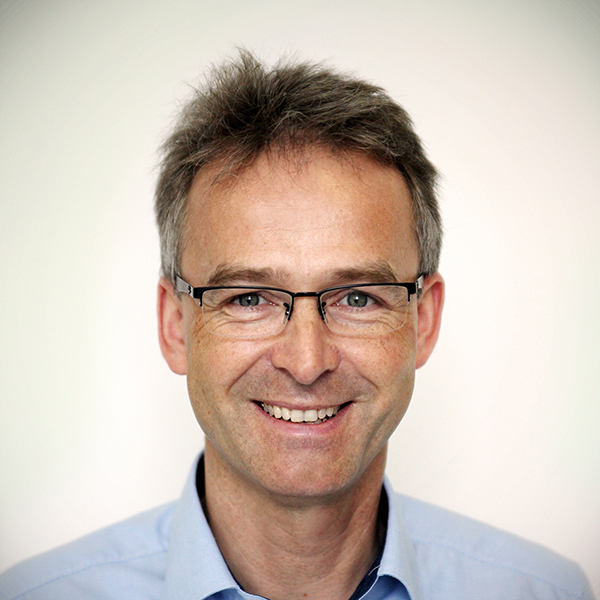 At its last meeting in November, PROSTEP AG's supervisory board appointed Dr. Karsten Theis to the company's executive board. 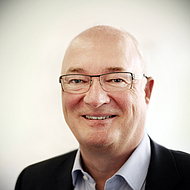 Theis, who has been with the company for over 15 years and has held a number of different management positions, will be responsible for PROSTEP products, marketing, sales (excluding key accounts) and US business in his new function as deputy chairman of the executive board. 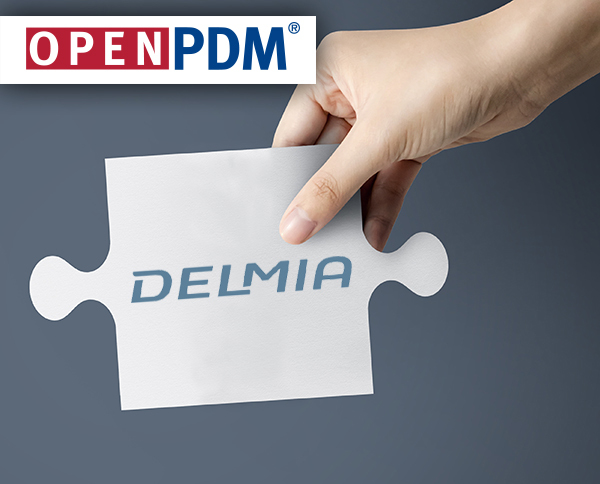 PROSTEP has added a 3DEXPERIENCE DELMIA connector to its OpenPDM PLM integration platform to provide support for the end-to-end digitalization of manufacturing processes. The connector enables DELMIA users to directly access the latest product and production equipment data in the connected PLM and ERP systems during the virtual planning and simulation of manufacturing processes. 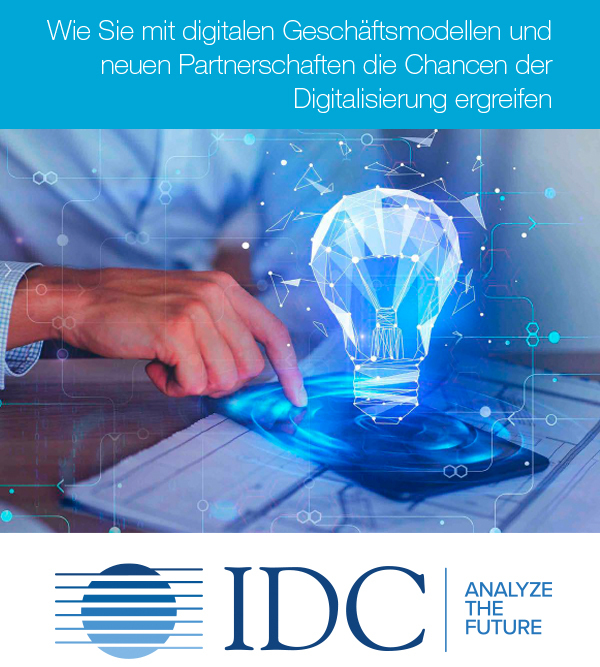 Although 70 percent of German companies assume that a digital business model will be crucial to their future business success, their digitalization measures continue to focus predominantly on the transformation and automation of internal business processes. This is the conclusion reached in a white paper from IDC, which was sponsored by the PLM vendor Dassault Systèmes. 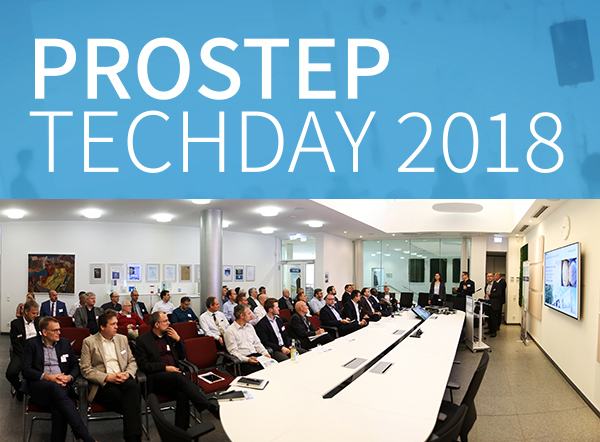 PROSTEP TECHDAY, which takes place every two years, serves primarily to inform customers and prospective customers about the latest news and product innovations from PROSTEP, and there were plenty of these this year. In addition, a number of customers reported on the use of PROSTEP solutions in their companies – a well-balanced mix of hands-on experience and product innovations that was very well received by the nearly 50 attendees. 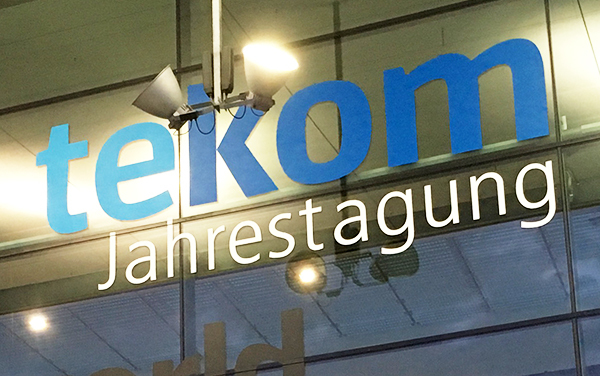 The PROSTEP stand at the tekom annual conference in Stuttgart, which is aimed at experts in technical communication, attracted many visitors. PROSTEP showed how they can use intelligent service content solutions to automatically prepare engineering data for downstream processes such as service and after-sales and make the data available, for example, in the form of web-based 3D spare parts catalogs or as interactive 3D service documentation. Versatile, tried and tested, and for the most part invisible: OpenPDM is our all-purpose tool for PLM migration, integration and collaboration and provides the basis for the comprehensive range of services we offer. 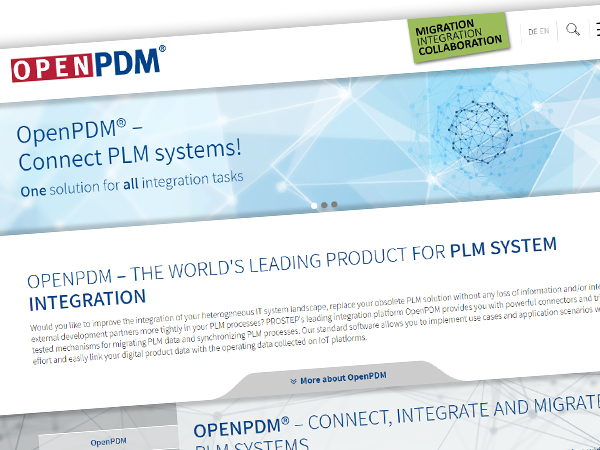 Learn how you can use OpenPDM with our support to migrate or seamlessly integrate your PLM systems or better integrate collaboration partners without risk on our redesigned OpenPDM web pages.